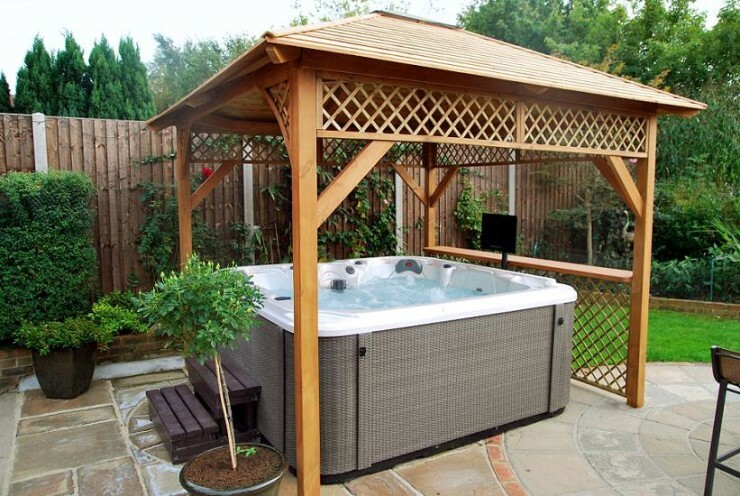 The Baltic Spa Hot Tub Gazebo is our most popular spa gazebo, this beautiful building has soft lines and open trelliswork. 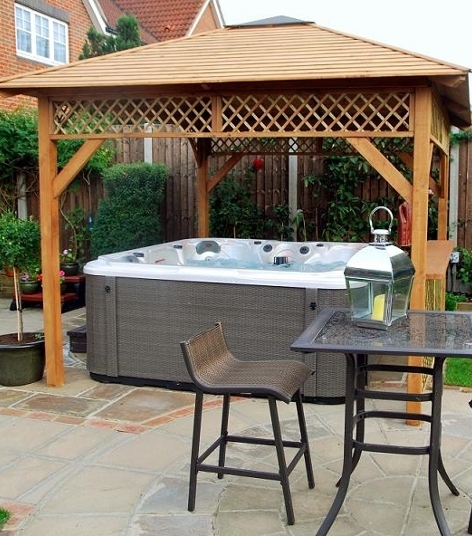 It has a variety of uses in the garden, a cover for your hot tub, a meeting place for family and friends and why not use it for dining al fresco . We also offer an optional drinks shelf. Images show gazebo stained brown after installation.